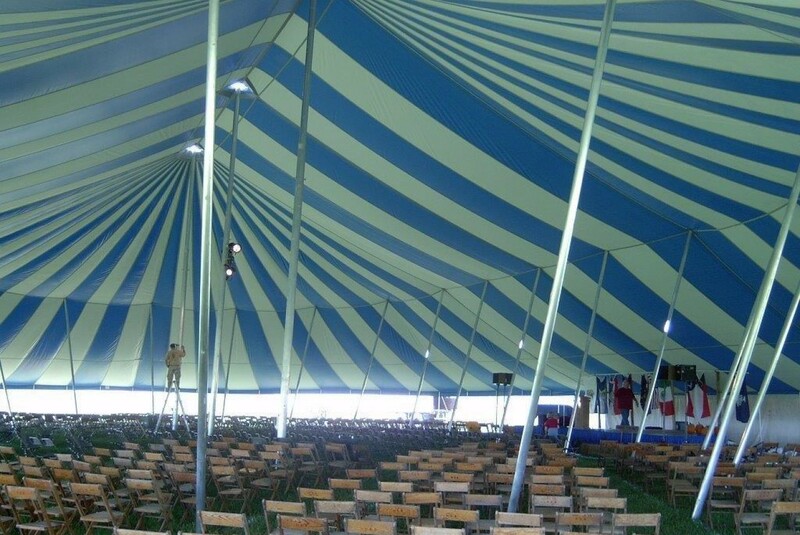 As a leading party tent manufacturer, Miami Missionary Tent Company manufactures its party tents to be the strongest, most reliable and longest lived tents in America. Using only top quality vinyl, these pole tents have seatbelts on every seam with triple stitching top to bottom and steel to steel connections. These party tents are used for a variety of purposes like special events, weddings, revival tents for ministry, parties, etc.. We keep a large variety of pole tents in inventory in both square & rectangle and round & oval, so we are able to quickly ship a tent. 80′ and wider are not kept in inventory, so allow as much time as possible for manufacturing. Miami Missionary Tent has been manufacturing party tents since 1980 and we constantly look for ways to improve the way we manufacture our party tents.